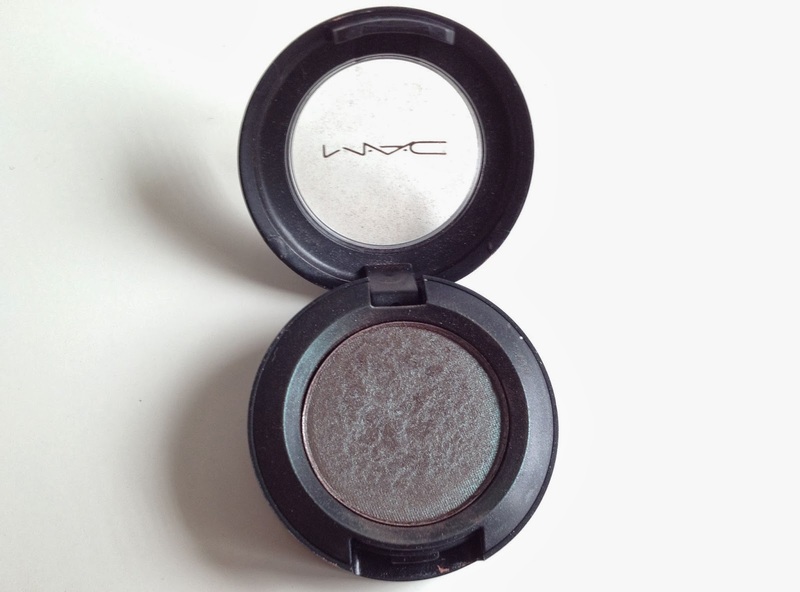 I just had to choose MAC Club eyeshadow for the 10th installment of my MAC Monday series! Whenever someone asks for MAC eyeshadow recommendations this is always one of my first suggestions - a great addition to help fill up your pro-palette and something quite unusual to boot! 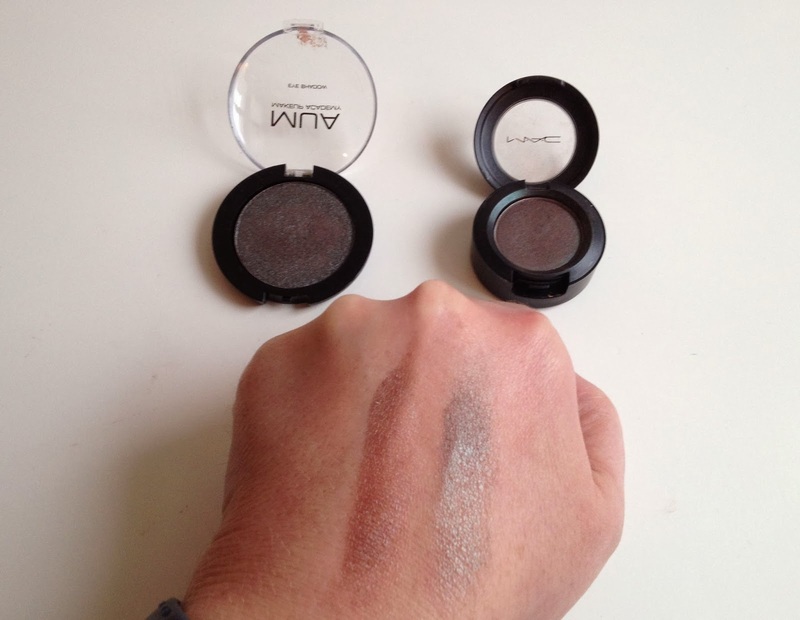 I actually have MAC Club as a single shadow rather than a pro-palette shade (I explained these in more detail in my MAC Cranberry eyeshadow post HERE). This is only because I bought it in duty free on my way to Rome last summer and they only had the singles. It is more convenient to have the pro-palette shades, but hey the singles do look much better in photos! This is a great shadow because it is duo-chrome. A fancy term, but what this means is that it changes colour depending how the light catches it. In the pan it looks like a silvery lilac. But when swatched on the hand it is a dirty brown. However as the light catches it, it takes on a blue or greeny shimmer. It reminds me of that effect when light catches the surface of a pool of oil. 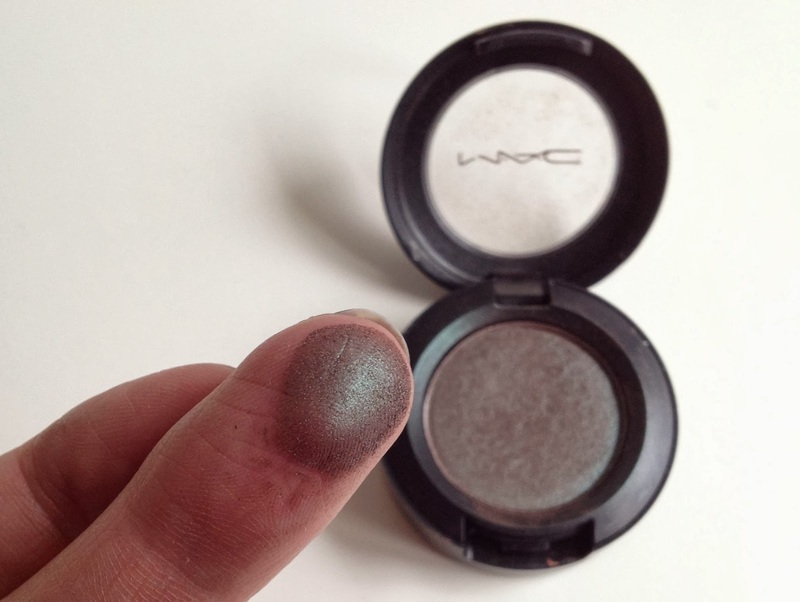 If you use MAC Club over an eyeshadow primer such as Urban Decay Primer Potion it can really intensify the colour. Likewise if you apply it wet it really brings out the colour. I love this shadow, you can wear it as a daytime colour with a matte warm neutral in the crease (such as MAC Soft Brown - see my review HERE). Or it can form part of a more dramatic smokey eye for a night out. I have blue eyes and the duo-chrome effect really complements that. 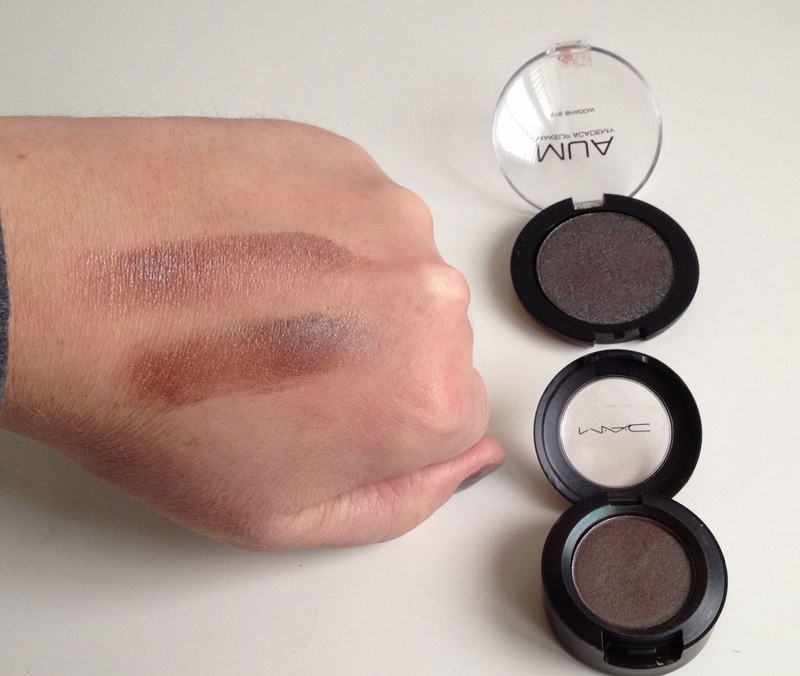 I have also found that you can wear just a quick sweep of MAC Club on your lids and the duo-chrome makes it look much more complex - like you have carefully blended highlight colours into a darker shade. You may or may not be familiar with MUA as a brand, you can buy from their website or they have a stand lurking in Superdrug. In my experience stock is usually running low and the display is messy, but if you are lucky you can pick up some gems (I reviewed some of their £1 blushers HERE). 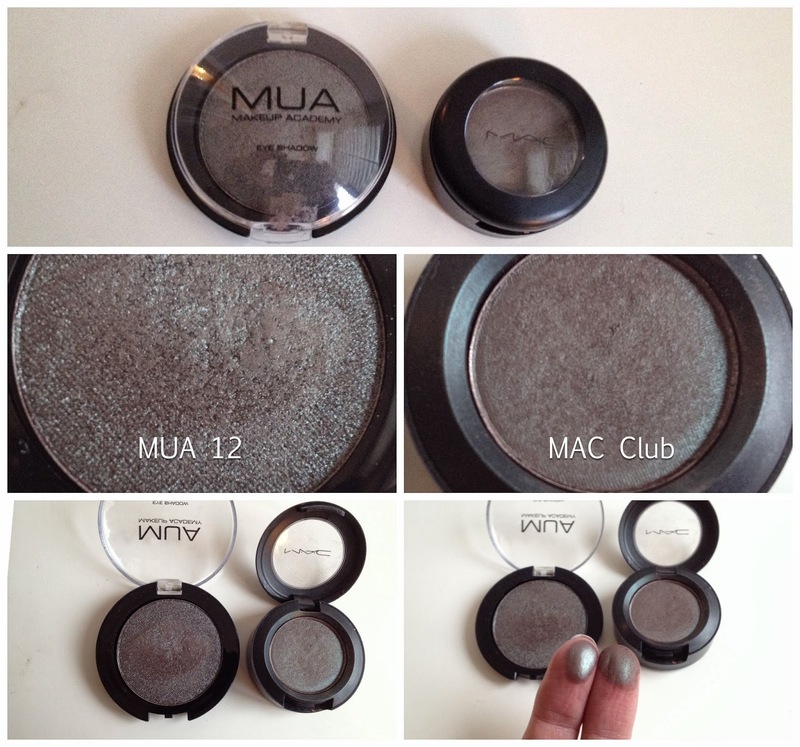 The MUA eyeshadow in shade 12 is a Pearl shade and is amazing! It feels creamy and soft and applies really well - I dare say even better than MAC Club. MUA eyeshadows are quite hit and miss. Some are powdery and gritty and frankly feel very cheap (which they are, so you can't complain)! But this one is a winner and no doubt the best one I've tried. 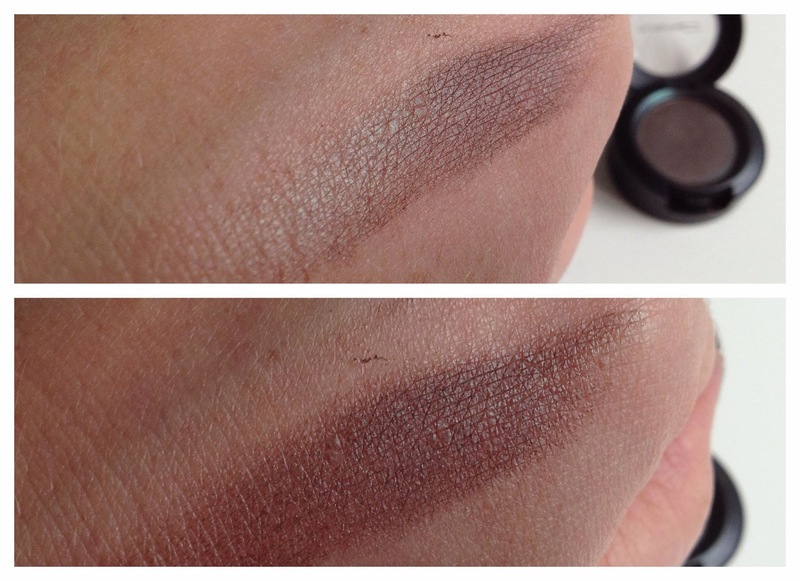 This is such a great dupe although MUA 12 has slightly redder-brown undertones compared to MAC Club's more grey/silvery undertones which you can see in the top photo above. You can also see how each shade looks different depending how the light (coming from the right hand side) hits it as I have turned my hand round. The MUA eyeshadow has a little more shimmer to it too compared to the satin finish of MAC Club - but there really isn't much in it. But the really amazing thing is that MUA eyeshadows are just £1 from the MUA website HERE or Superdrug HERE. It is also worth noting you get 2g of the MUA product vs 1.5g of MAC - making it an ever crazier bargain. But if like me, you are a sucker for an original then you can pick up MAC Club for £12.50 for a single shadow HERE or £10 for the Pro-Palette shadow HERE. If you are curious to see some of my other MAC treasures then take a snoop through my previous #MAC Monday posts!!! Fancy joining in #MAC Monday? Then send or tweet me your MAC links (#MACMonday) and I will link to them here!